Is Your Florida Pharmacy Making These Errors? Is Your Florida Pharmacy Making One of These Errors? It is true that pharmacists play an important role in our healthcare system. Pharmacists, like most other professionals, have a responsibility to uphold high standards of care in every aspect of their job. Patients all over the country rely on pharmacists to provide the right medication at the proper dosage in addition to the adequate instructions. When this is not taken seriously, it is patients who may pay the price…literally and figuratively. 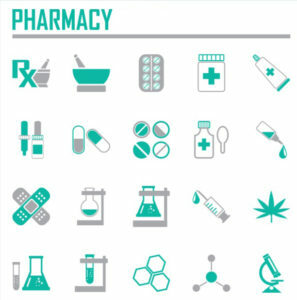 According to a recent news report by CBS Miami, pharmacy errors are increasing in Florida. If you have already been hurt by a pharmacist’s negligence, you need to consult with an attorney. Thousands of residents of Miami and the rest of Florida count on their pharmacists to get things right every time. Discovering that you have become victim of a pharmacy error can be devastating and extremely frustrating. Unfortunately, overworked and tired pharmacists are often rushed to fill orders as quickly as possible, which increases the margin for error. Of course, this doesn’t excuse medication errors or committing medical malpractice, but it is a true fact. According to the American Medical Association (AMA), reports indicate that more than 100,000 individuals in the United States die each year as a result of adverse reactions to their medications. This means that these adverse drug reactions are one of the six primary causes of death across the country. Visit here to learn more about the facts behind pharmacy errors, and how to avoid them. While nobody knows just how many of these deaths are directly related to mistakes made while dispensing medication, observers do believe that pharmacy mistakes play a role. The worst part about these incidents is that many of them are completely preventable. A pharmacist who is properly trained and paying the right amount of attention should be able to prevent the majority of issues associated with medication mistakes were dispensing errors. It is likely that the majority of pharmacy errors are completely undetected. According to the Medication Errors Reporting Program by US Pharmacopeia, there were 90,000 reports of various pharmacy errors across the country in 2003. As many as 40 percent of these errors were attributed directly to problems of performance. Less than five years later, according to research conducted by individuals at Ohio State University in 2007, there are as many as 5.7 mistakes for every 10,000 prescriptions. This would translate to more than 2 million dispensing errors every single year. Even when these errors are undetected, it is often the patient who pays the price. In an effort to cut costs, combined with the requirement to keep up with an increasing array of drugs and orders, pharmacies are increasingly turning over duties in the pharmacy to clerks and technicians who do not have the same amount of training as a pharmacist. These individuals are paid far less than a pharmacist, and even though they operate under the direction of a pharmacist, they are less likely to have the same background knowledge and experience as a trained professional. Even in these situations, a pharmacist is still responsible for a medication error. That being said, the increasing reliance on technicians and clerks is troubling for individuals who become victims of dispensing or other medication errors. Performance Matrix: Is It to Blame? According to some anonymous individuals active in the pharmacy industry, a new system known as Performance Matrix could be partly to blame for the increase in pharmacy errors. This system looks at the number of prescriptions filled by every pharmacist and how fast those prescriptions are filled. Pharmacists are also required to meet particular quotas of phone calls to patients as well as flu shots. The bottom line of the Performance Matrix system is that it encourages pharmacists to do their jobs quickly rather than focusing on quality. According to one pharmacist who was interviewed, the system is stressful as well as nerve-wracking, and it leads pharmacists to be concerned about making mistakes that could ultimately hurt their patients. A survey from the Institute for Safe Medication Practices, which involved 700 separate pharmacists, found that more than 80% believed that Performance Matrix contributed directly to mistakes in the pharmacy. Check out this site to learn more about the role of the Performance Matrix in pharmacies. Unsafe practices in the pharmacy could lead to minor or even fatal results. Unfortunately, pharmacy mistakes impact far too many Americans every year. One of the ways that patients fight back is through prescription drug lawsuits. Individual pharmacists: Pharmacists can be held responsible if they were the one who carried out their job carelessly. Providing an individual with the wrong medication or the wrong dosage or mislabeling a prescription are a couple of examples of common mistakes. The pharmacy: If a patient is hurt by a medication, then the pharmacy could be held accountable for dangerous practices. The pharmacy could be held liable for injuries sustained by a patient. Have you been a victim of a dispensing error? It’s scary enough to think about how common medication and prescription errors are in Florida, and it’s even scarier to think that the pharmacy in your neighborhood could easily be making some of these errors. If you or someone you know has been harmed by a prescription drug error in Florida, you still have rights. In many cases, as mentioned above, a pharmacist or pharmacy as an organization could be held liable for any conditions, illnesses, or other injuries you may have sustained as a result of a medication error. If this has happened to you, then you need to consult with a Boca Raton personal injury attorney to understand all of your options and to determine your next steps. Visit here for an experienced Boca Raton personal injury attorney as soon as possible.